Atmo™ | Recycle Your Child Car Seat With Us Today! Preferred Location: No store locations found. Choose your location to get started on recycling your child car seat! ATMO Recycling Ltd is a Canadian not for profit/social enterprise, created in 2017 by industry leader Graham Lewis. ATMO Recycling Ltd™ quickly established itself as the first and only social enterprise (Not for profit) in Canada dedicated to responsibly recycling child car safety seats in Canada. The need to create an experienced Board of Directors, that could guide the not for profit into a sustainable organization, with a solid vision, mission and value statement over the next three years was crucial. ATMO Recycling Ltd™ used its guiding vision, mission and value statement to align its hiring practices into an operation that values individuals from all aspects of a community. Hiring persons whom identify as having a barrier to employment is a key element of our operational structure. Recycling consumer products is only one part of the circular economy. Individuals who struggle to find sustainable employment are often overlooked and as a result are continually searching to find ways of earning an income. ATMO Recycling Ltd™ refers to this as the value of human capital. Protecting the environment while creating sustainable long-term employment for individuals with barriers to employment is the heart of ATMO Recycling Ltd™. Graham Lewis, Founder and Executive Director, has a long standing record across the social sector and takes the lead role in securing partnerships that enhance the strategic growth of both ATMO Recycling Ltd and its partners. Child car seats are only one of a handful of consumer products until recently considered “non-recyclable” due to the time it takes to fully dismantle a child car seat – it is this quest to be a leader in a new sector that drives innovation. ATMO Recycling Ltd™ is committed to reducing its carbon footprint and establishing community recycling partnerships across Canada. The placement of centralized recycling pods ensures that ATMO Recycling Ltd is consistently mindful of its footprint, and this approach relates to all aspects of how ATMO Recycling conducts its overall business. ATMO Recycling Ltd™ over the last twenty months has constructed a detailed understanding of the importance of convenience for its customers. Making it fast, easy and convenient for people to recycle a child car seat is how the program will grow, with the determination that this will evolve to become the accepted method to dispose of a child car seat. 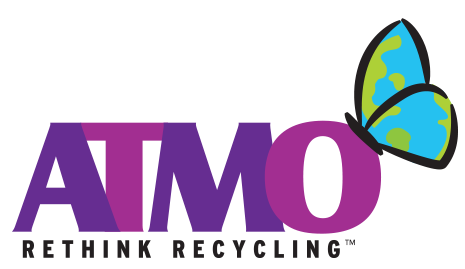 ATMO Recycling Ltd™ partnerships will ensure a strategic role out in 2018 for its “Drop off locations” within southern Ontario. ATMO Recycling Ltd™ teamed up with Dr. Norman Bethune Collegiate Institute (Scarborough, Ontario) to give high school students the chance to gain valuable insight into what it takes to build a brand for a new project, along with insight as to the ups and downs of growth within the social enterprise sector. The students developed the tag line “1 Less Seat, 1 World 2 Keep” and which is now an integral brand component for our child car seat recycling program. Every year, an estimated quarter of a million child car seats end up in landfills in Ontario alone. ATMO Recycling Ltd™ and The Co-operators wants to change that trend. Find a Co-operators Location Near You! Interested in learning more about ATMO Recycling’s history?